Is the PlayStation 3 this generation's GameCube? It seems that US gamers are still spending more time playing Microsoft's original 'last gen' Xbox than they are playing Sony's new gen PlayStation 3. 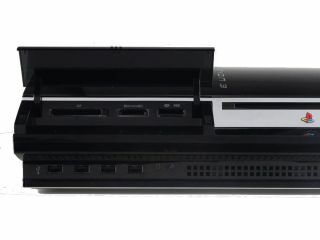 Market research group Nielsen has published the latest information on 'game-minutes' used on each console, with Sony's mighty PlayStation 2 coming out top. However, the PlayStation 3 doesn't fare so well, being played for less time overall than Microsoft's original Xbox. The figures show that from January to October in 2008 the PS2 was responsible for over 30 per cent of all console gameplay, with the Xbox 360 in second place with an 18.3 per cent share. Nintendo's Wii had a 13.4 per cent share, the original Xbox had a 9.7 per cent share and Sony's PlayStation 3 had a 7.3 per cent share. Yet while the PS2's massive 140 million-plus user base still provides a vital revenue stream to Sony, PC World notes that "Sony's got a year to really get the lead out if it doesn't want to be this generation's GameCube". Unsurprisingly, the top PC game was World of Warcraft, played for an average 671 minutes a week per user - dropping slightly from 1,023 minutes from the previous year.